Hadi Sacko is among a number of Leeds United first-team players that have been left out of the squad that has travelled to Myanmar. The Championship outfit will take on a Myanmar national league All-Stars XI on Wednesday before facing the national team on Friday. The trip has been widely criticised, and whilst the likes of Samuel Saiz, Rolando Vieira, Kalvin Phillips, Caleb Ekuban and Luke Ayling have made the trip, a whole host of first-team players have been omitted. Sacko spent last season on loan at Leeds from Portuguese outfit Sporting Lisbon, and scored two Championship goals for the club before joining on a permanent deal last summer. The 24-year-old has struggled to make his mark this term, however, failing to score or register an assist in 14 Championship appearances for the Whites. 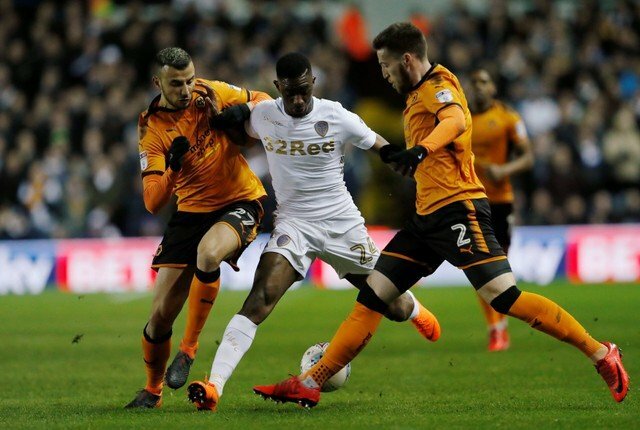 The Leeds supporters, who have been a frustrated bunch in recent weeks, have offered their views on the Mali international, and it seems that a number want him to be sold in this summer’s transfer window ahead of the 2018-19 campaign. Cibicki and Sacko can go too.